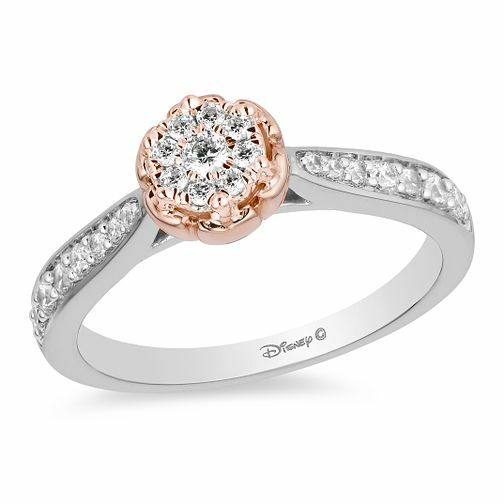 Make a magical moment with this exquisite diamond ring from the Enchanted Disney Fine Jewelry collection inspired by Belle from Beauty and the Beast. Crafted in 9ct white and rose gold, this wondrous style features a gleaming 1/3 carat of diamonds in a cluster formation on the rose styled head with yet more diamonds set in the band. This ring will surely prove she is your princess.